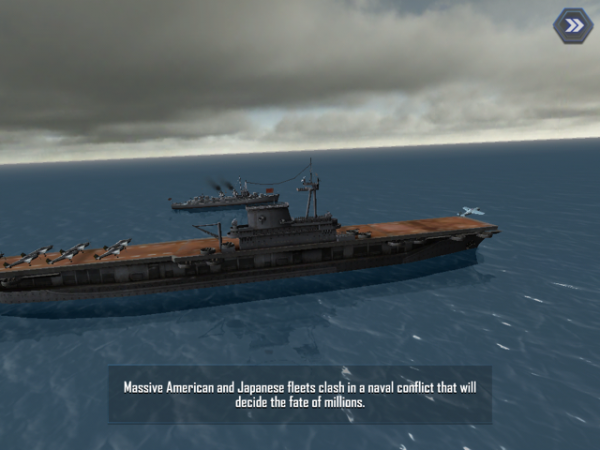 Battle Fleet 2: WW2 in the Pacific ($4.99) by Capital j Media LLC is an epic war strategy game based in the midst of World War II. 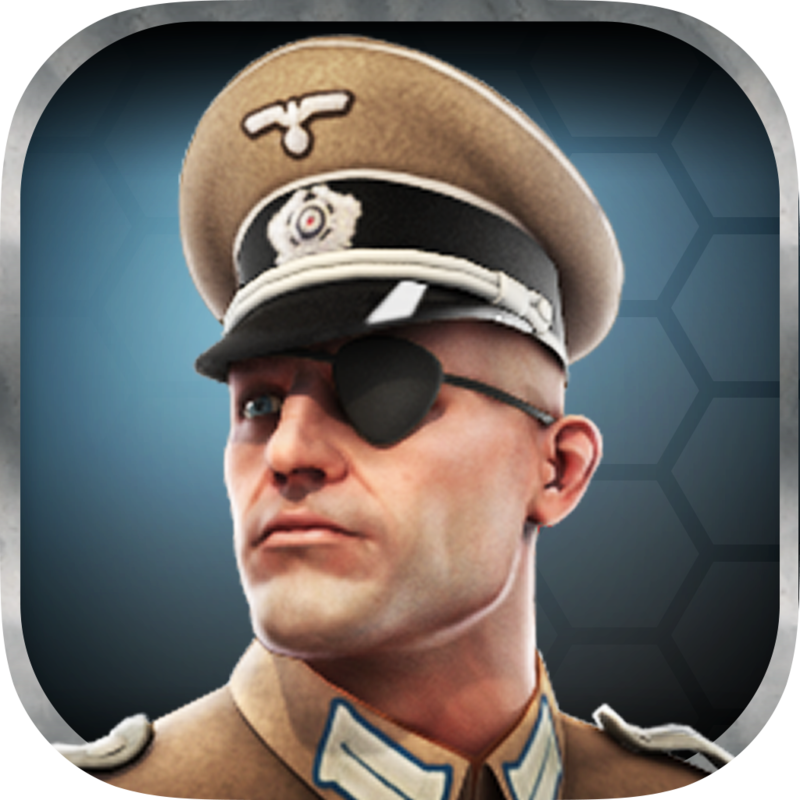 It’s similar in gameplay to Panzer Tactics HD, except there is no European presence in this game. The year is 1942, and instead of Germans or Russians, you must choose to command the Japanese or the American armed forces. You must carefully plan both your offensive and defensive moves, for your success in the game depends on your thinking abilities and military prowess. 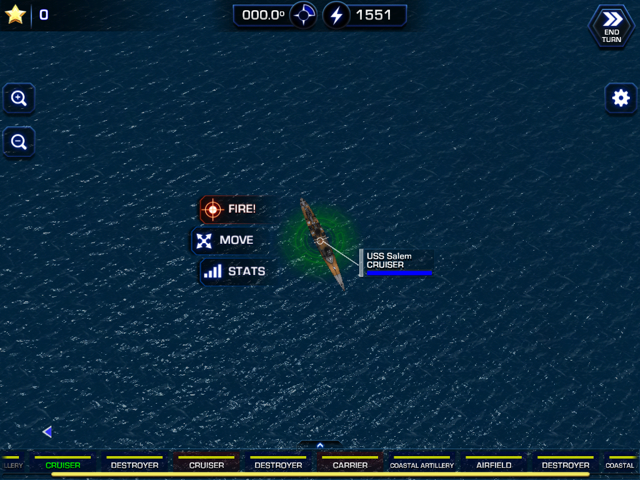 Your objective in Battle Fleet 2 is simple. But carrying it out proves to be the ultimate challenge. What you need to do is select a fleet of ships, each equipped with different weapons such as torpedoes and anti-aircraft guns. Each also has its own weaknesses. 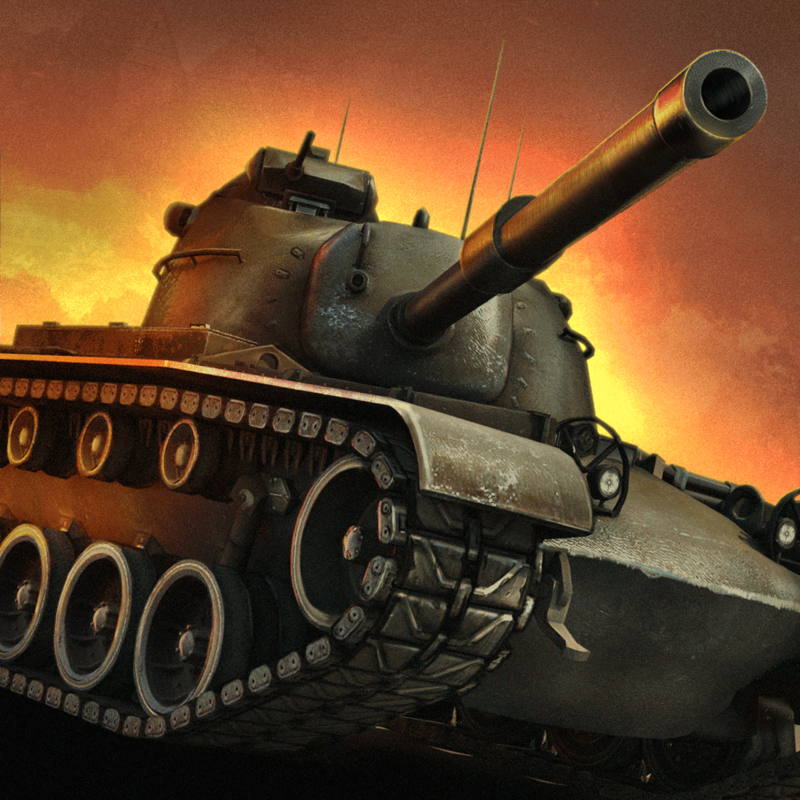 The enemy is not far away, so it’s up to you to defend your territory and eliminate them. 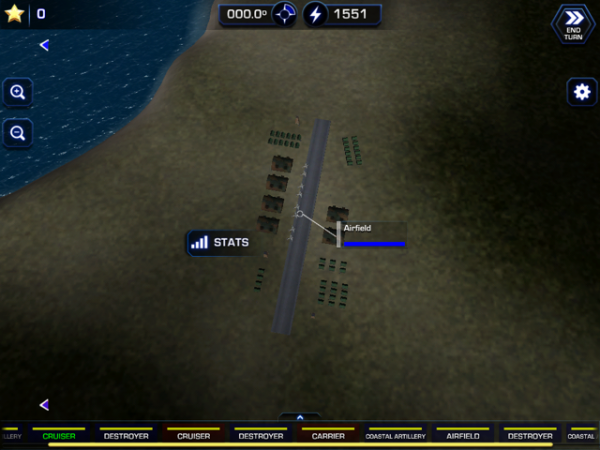 Once you’ve chosen your fleet, you and the other player must alternate moves. When you’re up, you can select the amount of power and the weapon you will be using to launch an attack. When you use your turn on offense, you can eliminate enemy targets. However, it’s equally important not to remain vulnerable. 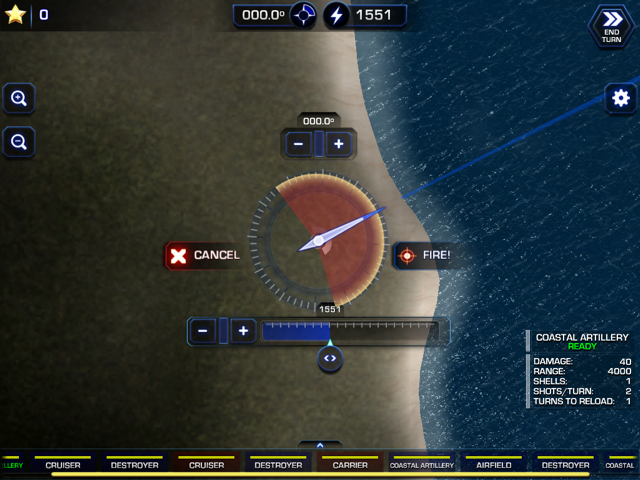 Be sure to know when to neutralize opposing ships, or you”ll be terminated before you have the next chance to attack. The beauty of this app is that it can be played so many ways. For one, there is the option to play the game solo, against a computer. 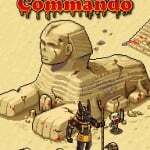 You then have the choice to play a quick battle, which can be done in just minutes. Or, you can start a campaign. This choice allows players to really develop their strategy and skill as they embark on a long-term adventure that can be played, paused, and picked up later, as it can take days to complete. And it’s flexible too. Even though you’re limited to the Pacific theater, you can travel all over. Exciting battle locations include Fiji, Hawaii, Australia, New Zealand, and many more. This game can even turn into a head-to-head matchup. 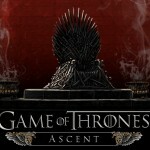 With multiplayer options, users can play either against a friend or online. In this sense, Battle Fleet 2 is very much like World of Tanks Blitz, but adapted to a naval setting. It’s a bit different too, because it depends slightly more on strategy than on reflexes and quick firing. But regardless of who you play against, the strategy needed to win is in weighing your options properly. From the weapons to the ships, every object in the war can be selected. Each type of bomb and boat has its own strengths and weaknesses, the challenge is figuring out what’s best to meet your objectives. I have almost no complaints about Battle Fleet 2, except that it took an excessively long time to download. However, the app itself isn’t slow because of a clever menu within the game. The quality of the graphics can be changed to help the game run faster. This is especially useful when playing online. Overall, this is a great app that would be well worth your time and money. 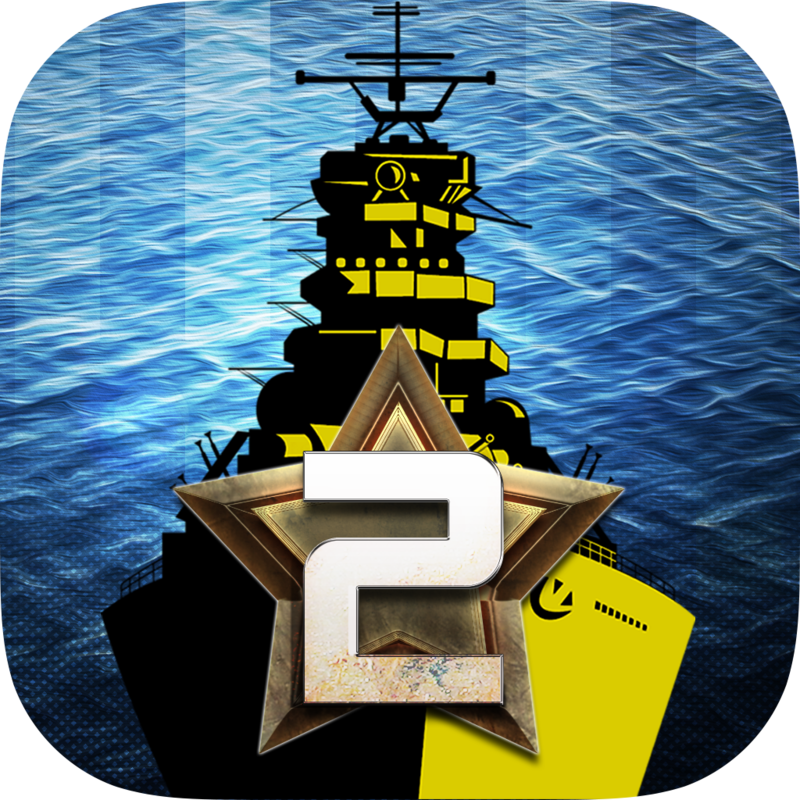 Battle Fleet 2 is available for $4.99 for the iPad on the App Store.